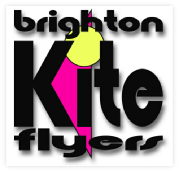 new 12th Suffolf INTERNATIONAL Kite festival. new Sumners Ponds 'Freezeyerbitzoff' Weekend? new Sumners Ponds. LUTS & OSOW event?? new Kingsfold Kite Festival & Steam Rally. new Sumners Ponds 'Relative Tan' 5 Days!